Near the top of Flagstaff Mountain just west of Boulder, Colorado, sruce and fir trees sit in the forest covered in fresh powder. 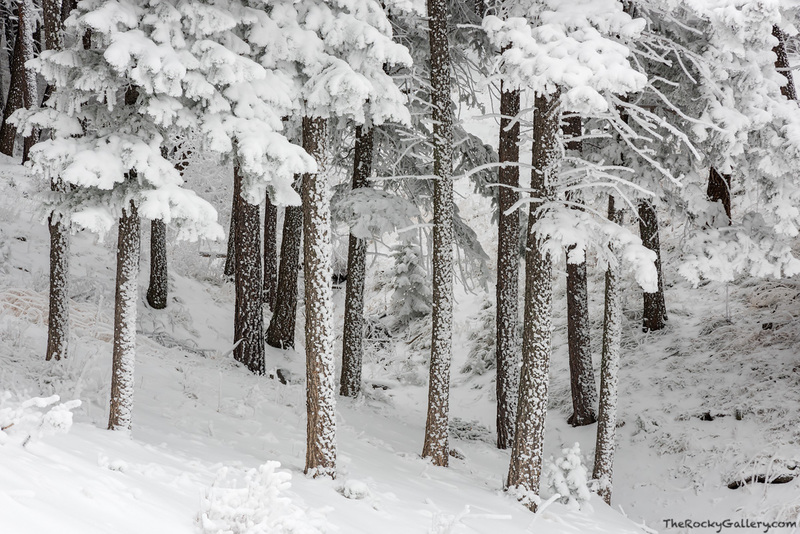 These trees on the northeast facing slopes of Flagstaff get the full brunt of a Colorado 'upslope' snowstorm which cakes them with layers of fresh snow and turning the forest and open space properties of Boulder into a winter wonderland. Photo © copyright by Thomas Mangan.